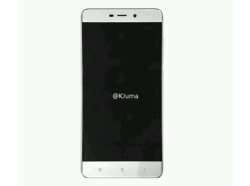 Details Xiaomi Redmi 4 16GB is a successor model of Xiaomi Redmi 3, bringing significant updates over its predecessor. It boasts a full metal body design and has a 5.0 inches IPS LCD capacitive touchscreen with 16M colours, 720 x 1280 pixels resolution and 296ppi pixel density. You can take pleasure in enhanced user experience with MIUI 8.0 and Adreno 505 GPU. The device runs the Android OS v6.0.1 (Marshmallow) with several great android apps, it is powered by Qualcomm MSM8937 Snapdragon 430 chipset holding a robust Octa-core 1.4GHz Cortex-A53 processor and 2GB RAM. With this robust combination you will not have to experience any lag issues while multitasking and playing games.